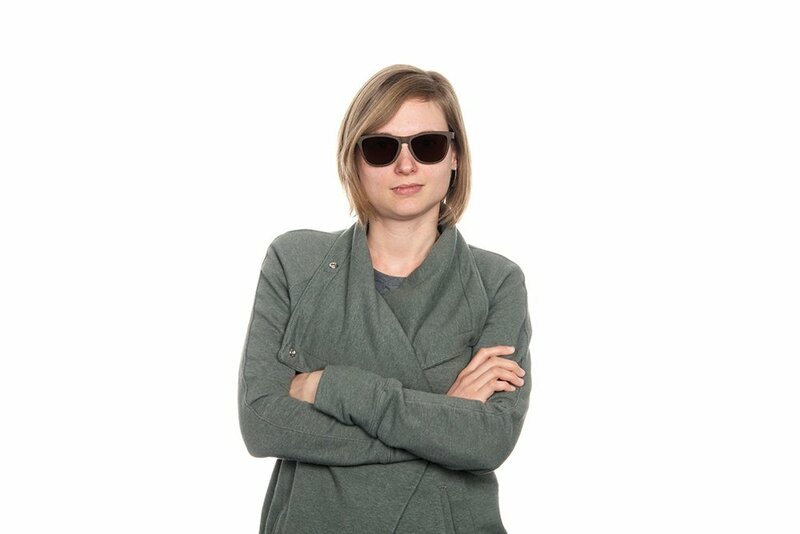 Blog Home / getting started / What is a Resistor? Resistors are crucial components in just about every circuit, but how much do you actually know about them? We’re taking a look at this basic electronic component to figure out what they are and how they work. Resistors are special components with a specific electrical resistance that can be used to limit the flow of electrons through a circuit. As passive components that can only consume power and not generate it, resistors are great for limiting current, dividing voltages and more. By using resistors, it becomes possible to control the amount of current and voltage in a circuit, thus controlling the circuit overall. Because the primary purpose of a resistor is to limit the flow of electrical current, the key parameter of resistors is their resistance value. As such, resistors are usually named based on their ohm (Ω) rating and can be identified by different colored bands. Most through-hole resistors feature four color bands. The first two bands indicate the two most significant digits of the resistor’s value. The third band is a weight value, which multiplies the two significant digits by a power of 10. The final band indicates the tolerance of the resistor. The tolerance explains how much more or less the actual resistance of the resistor can be compared to what its nominal value is. 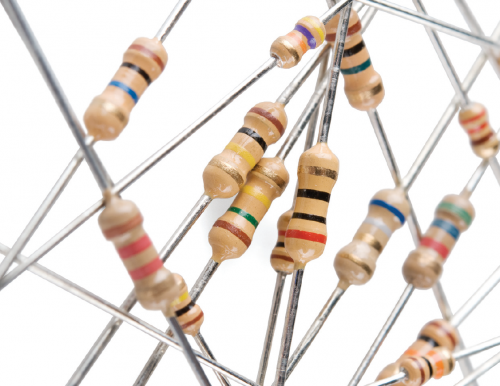 No resistor is made to perfection, and different manufacturing processes will result in better or worse tolerances. For example, a 1kΩ resistor with 5% tolerance could actually be anywhere between 0.95kΩ and 1.05kΩ. 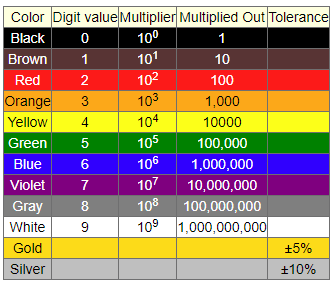 When decoding the resistor color bands, consult a resistor color code table like the one above. For the first two bands, find that color’s corresponding digit value. The 4.7kΩ resistor has color bands of yellow and violet to begin — which have digit values of 4 and 7 (47). The third band of the 4.7kΩ is red, which indicates that the 47 should be multiplied by 102 (or 100). And 47 times 100 is 4,700!